“Fusion is not impacting investment in PeopleSoft. 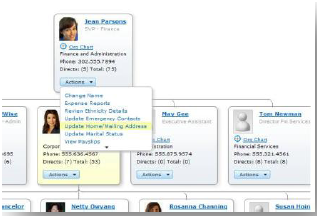 There is a way of coexisting Fusion and PeopleSoft,” said Rosie Warner, HCM business development director at Oracle. 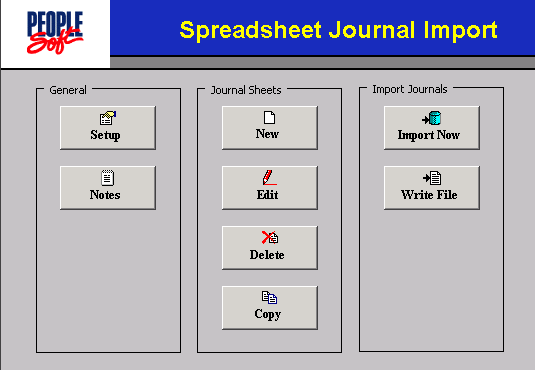 Warner was happy to quote that the users were happy with PeopleSoft 9.1. The fact that last 12 months has seen a 97% Customer retention supports his statement. The previous high was in 2005. However, the customers are free to choose a coexistent model by adopting Fusion and PeopleSoft. Now the Application can be accessed through a web browser in the Apple products like ipads, iphones. So what is expected in PeopleSoft 9.2? Let’s have a look. Microsoft Outlook integration for Absence Management – Time and Labor Module will function to be a single one-stop-shop workspace. 360 degree view of an Employee with Talent Summary, embedded analytics, and manager dashboards with key employee data at the Application level. Greater Role of Social platforms like workspaces, feeds, wiki, chatting, blogging, tagging with PeopleSoft etc. Overall the USP remains to be ‘Simplicity, Productivity, and Lowered TCO (Total Cost of Ownership)’. As usual, even before 9.2 being released, Oracle has started to scout out the scope for 9.3! 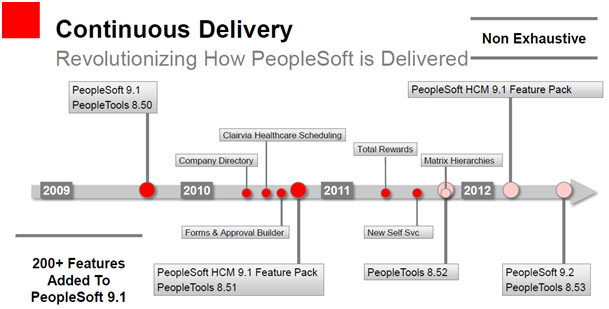 Have you heard more on when PeopleSoft 9.2 will be released? We are getting closer and closer to late part of 2012. We are not sure about the release date yet. May be, we can expect something in the Oracle OpenWorld later this month. I have an insider information for you. The 9.2 Application is in QA testing phase. some rumors coming that 9.2 release is postponed to 2013 Q2. Looks like both PT 8.53 and App 9.2 are getting released in the same year. I’ve also heard that 9.2 will be out in 2013. Folks returning from OOW said so. BTW, the release notes are out. how do I access those release notes? I’ve searched in MOS, but cannot locate. You may access them using the below links (login required). My Name is Nishant Shah.I m working on peoplsoft hrms as technical developer since 6 months now…ders a lot of hype of fusion replacing peoplesoft in near future..how true is it..? is peoplesoft technical devloper post worth 2 start a career in as a fresher..